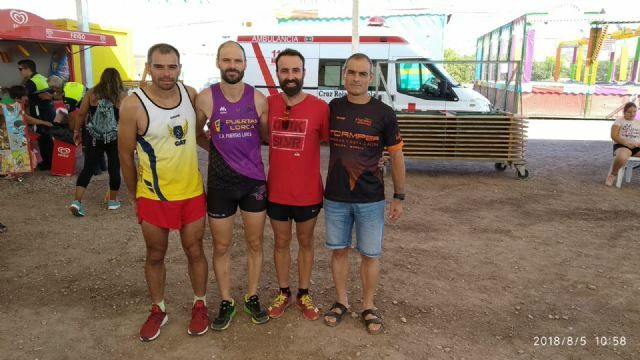 On Saturday, August 4, the CAT member, Juan Francisco García, moved to the town of Garrucha in Almería to participate in the Popular Racing League of the Diputación de Almería. The absolute test in which almost 300 people participated began at 20:30 in the afternoon, it was a flat profile almost without slopes, although it should be noted the heat and humidity that occurred in the coastal town. 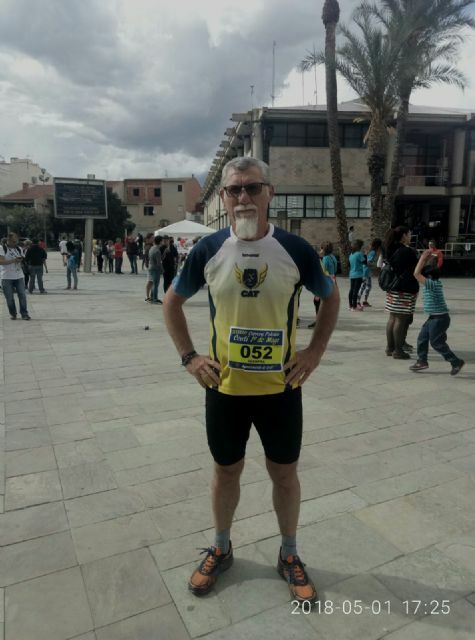 Juan Fran, finished in the 111th position of the overall, with a splendid time of 33 minutes and 31 seconds, and 5th in the Masculine D male category, finished the 8km of the race in a rhythm of 4 minutes and 11 seconds. 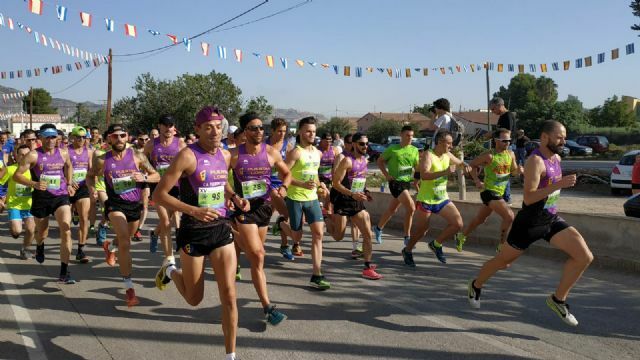 While on Sunday, August 5, the Popular Race of the Lorca district of "El Campillo" was held, the test belonging to the local circuit of popular races was organized by the neighborhood association of El Campillo, together with the Department of Sports and the IMJUDE. The distance of the test was according to the organization of 5.4 km but this would increase to 5.8 km according to the clocks of several participants. The athletes of the Totana Athletics Club, Raúl Cifuentes Martínez and Miguel Ã�ngel Del Vals (Michi) went there. Raúl finished second in the general category and in the Veteran A Male category, with a time of 19 minutes and 2 seconds to only four seconds of the winner of the race, Mario Molina. Michi arrived in the position 31 of the general and was sixth in the Category Veteran B Male with a time of 21 minutes and 46 seconds.